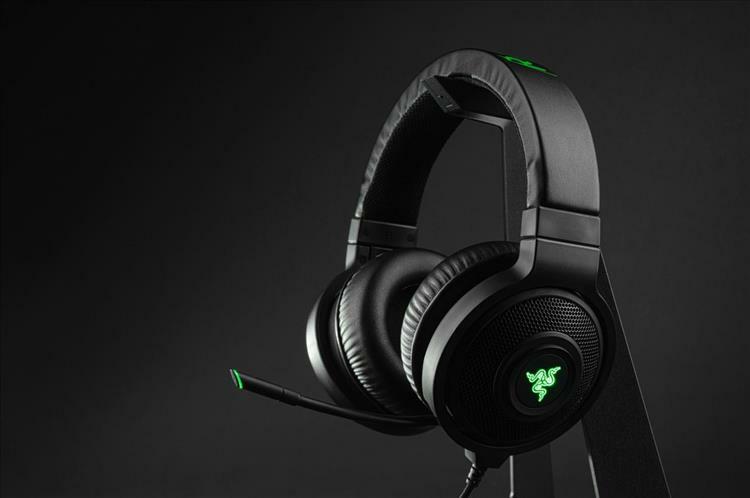 Razer has a new headset today and it's an update to an older model. Their Kraken was a nice stereo headset, but they have the new Kraken 7.1 USB Gaming Headset which kicks it up a notch. The Kraken 7.1 utilizes Razer's surround sound software that works pretty damn well to bring you simulated surround sound out of two drivers. It's got pretty nice comfy pads that make it easy on your ears. One big differentiator is that the Kraken 7.1 houses a retractable digital mic. You don't think that is anything significant, but having tested these babies the past few days, the digital mic is much cleaner, crisper, louder sound than normal analog mics. My friend said it was really clear to hear me speak while we were playing Saints Row IV. Look for a review of the Kraken 7.1 from us soon. You can pick up a pair now for $99.99.